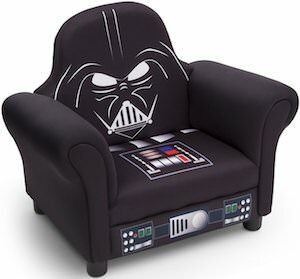 If your child needs a place to sit and they love Star Wars then this Darth Vader kids chair is what you need. The black chair looks amazing as a chair and it also looks amazing like Darth Vader as it has his big head on the back and the seat cushion and the bottom edge looks like costume details. So when you sit in this chair it will feel like you are sitting on Darth Vader lap and isn’t that something every little Star Wars fans dreams about. 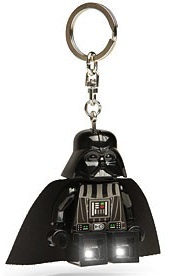 The hardwood framed padded Darth Vader chair can hold up to 100 pounds and will look amazing in a kid’s bedroom.